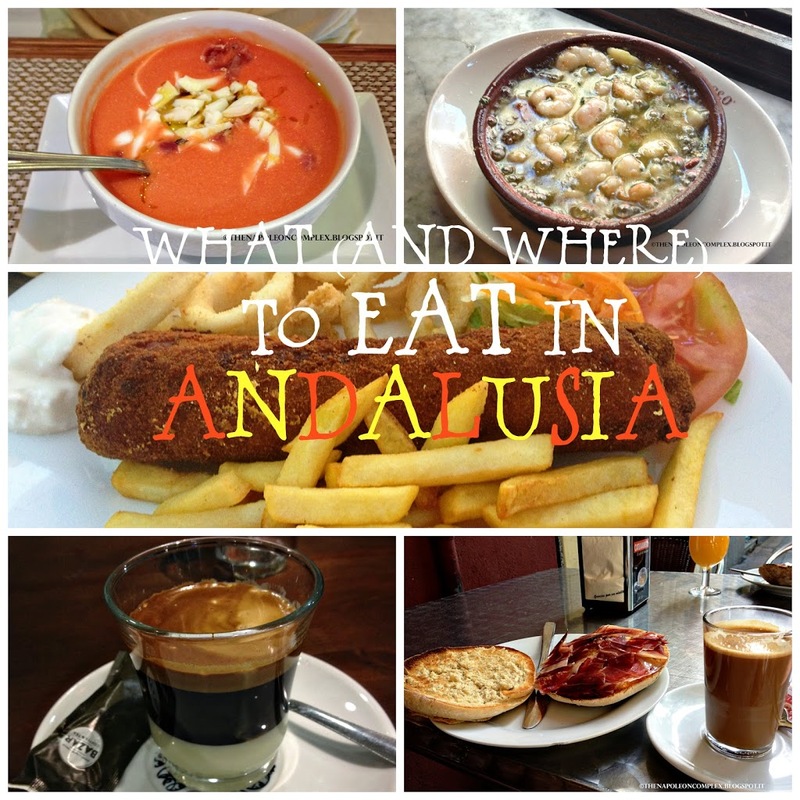 Here’s a quick and fun Friday post for all the foodies: everything we ate in Spain (or most of it). While I’ve definitely become a foodie when I’m traveling abroad, I’m not usually diligent enough to take pictures of everything I eat because all the really good stuff gets eaten really fast. 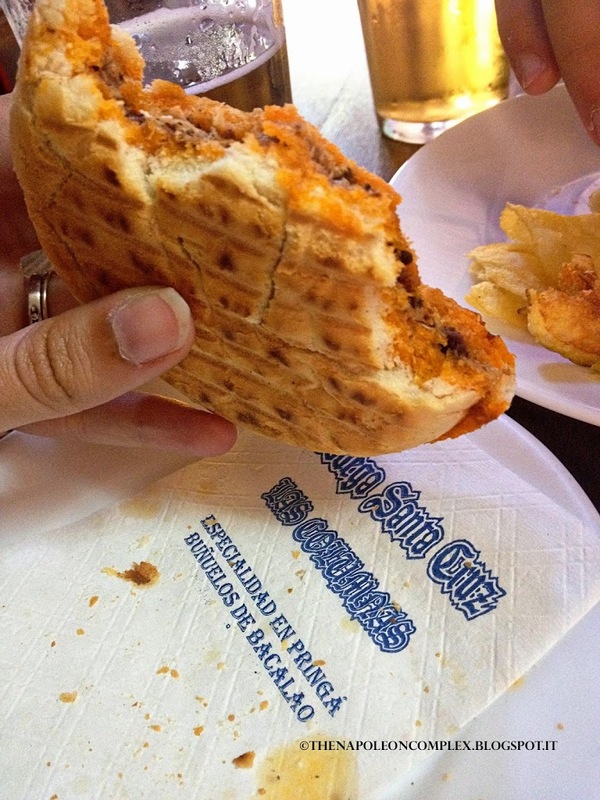 But for Spain, I put in my best effort, because this is a country where it pays to known ahead of time what to order. Most of the places we went to didn’t exactly have descriptions of their plates, so it was definitely helpful to have the tips of my uncle on where to go and what to order. And now you guys will have it too! Huevos Rotos (Potatoes, fried eggs, and, in this case, ham) at my uncle’s house. 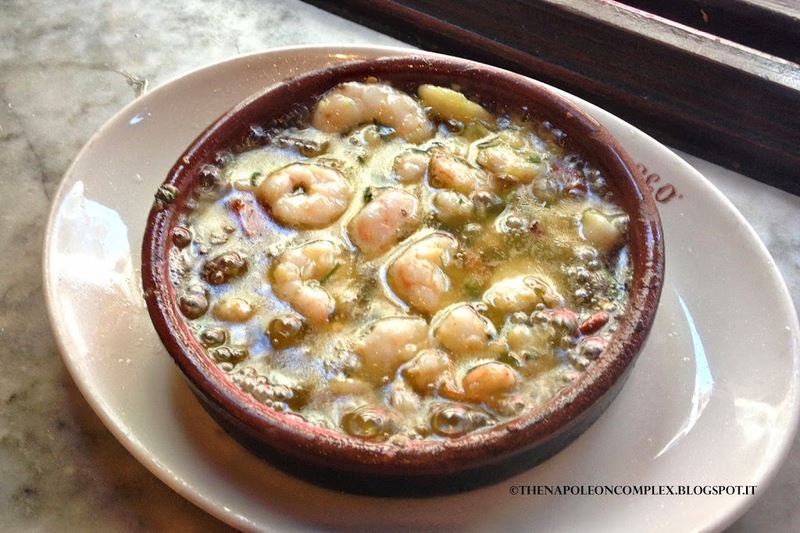 El Brillante – This is one of those places that as soon as you see it, you know it’s legit. Very no frills, but packed with locals at lunchtime, it can be a little intimidating for a tourist, especially if you don’t speak the language, but it’s totally worth it. Just shoulder yourself into the bar and order some beer and some tapas or bocados and you will thank me! La Casa del Abuelo – Another one of those teeny tiny places where you have to shoulder your way in and stand while you eat, this place had amazing Gambas al Ajillo. These are tiny shrimp served HOT in clay plates filled with a yummy oil and garlic sauce, possibly one of my favorite tapas. 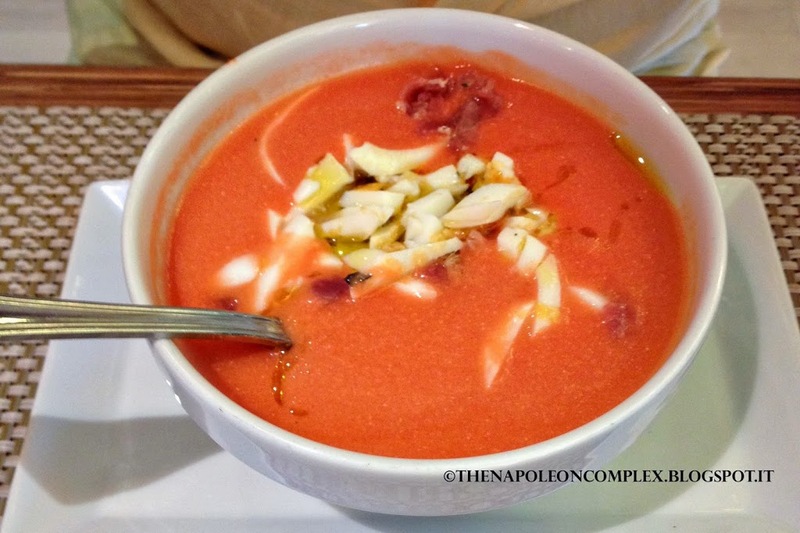 Wherever you are in Spain, you must order this! This restaurant has two locations one on each side of the street. 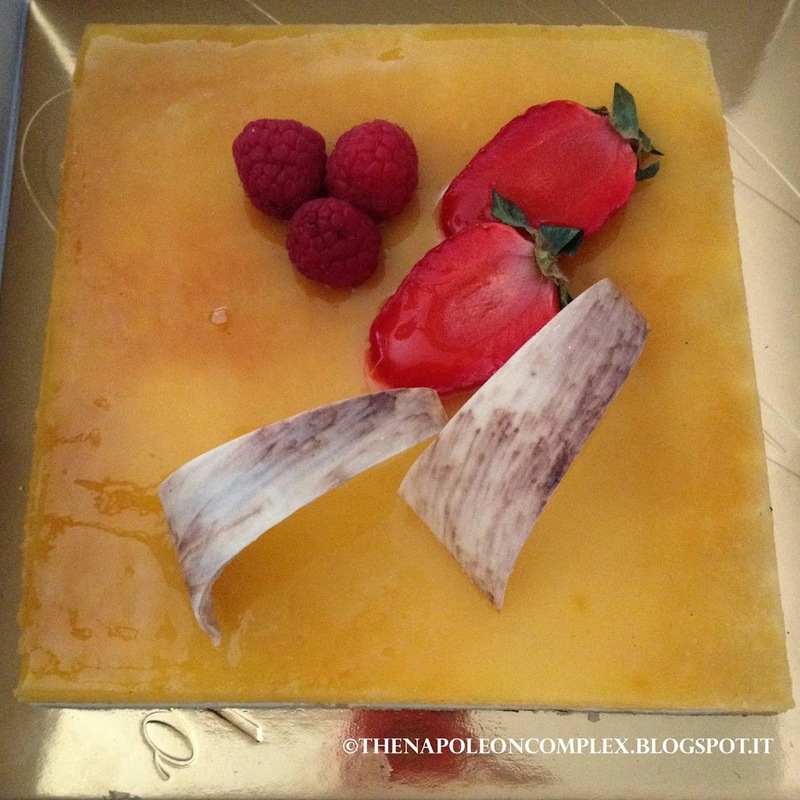 Tarta de San Marcos, not from Andalusia, but a very yummy dessert, nonetheless. 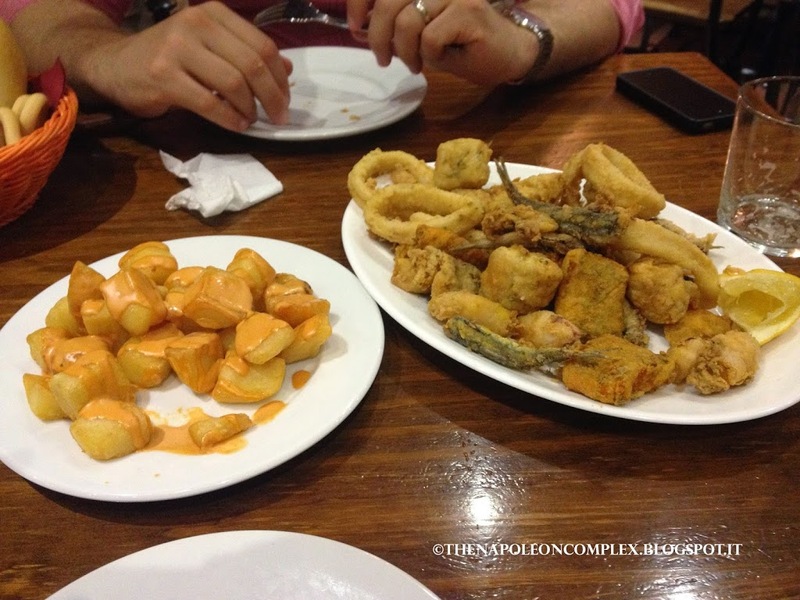 Bar el Moriles Pata Negra – This was by far our favorite place out of everywhere we went. It was ridiculously cheap and the food was ridiculously good. It is not exactly near the historic center of Cordoba, but totally worth a visit from wherever you are. 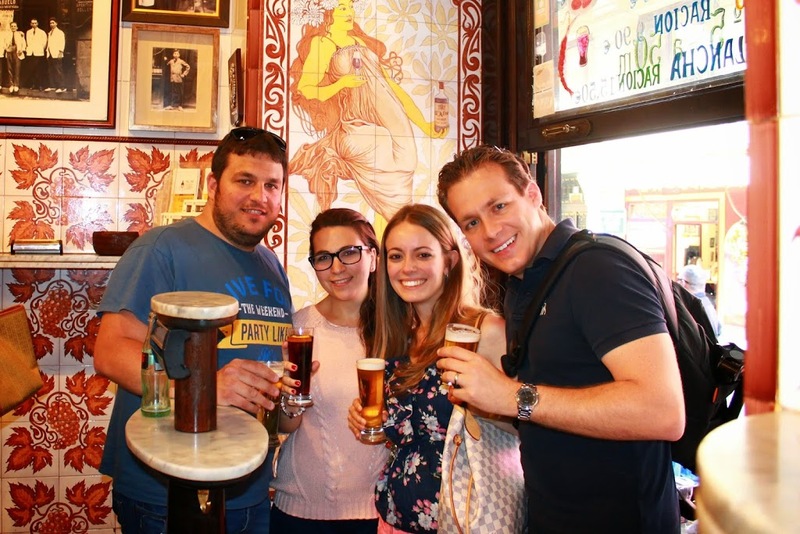 In fact, we loved it so much that that was the only place we went to for two days in Cordoba. Hey, if it ain’t broke, don’t fix it! 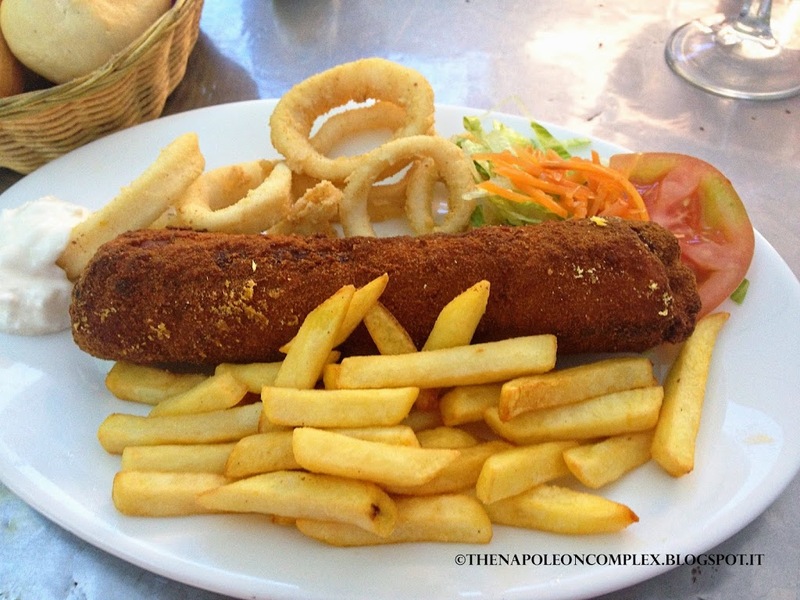 Flamenquin (breaded steak rolled up with ham and cheese on the inside). All this for 6EUR! 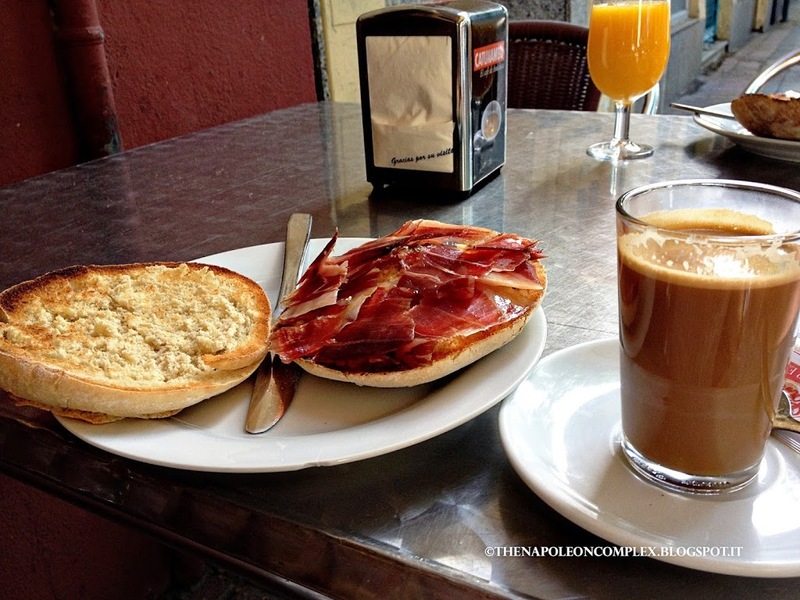 Breakfast in Seville – No, this is not the name of a restaurant. We didn’t really use the internet or my uncle for help finding a place to have breakfast. Instead, we would just wander into a bar somewhere not to close to a major tourist attraction to avoid inflated prices. 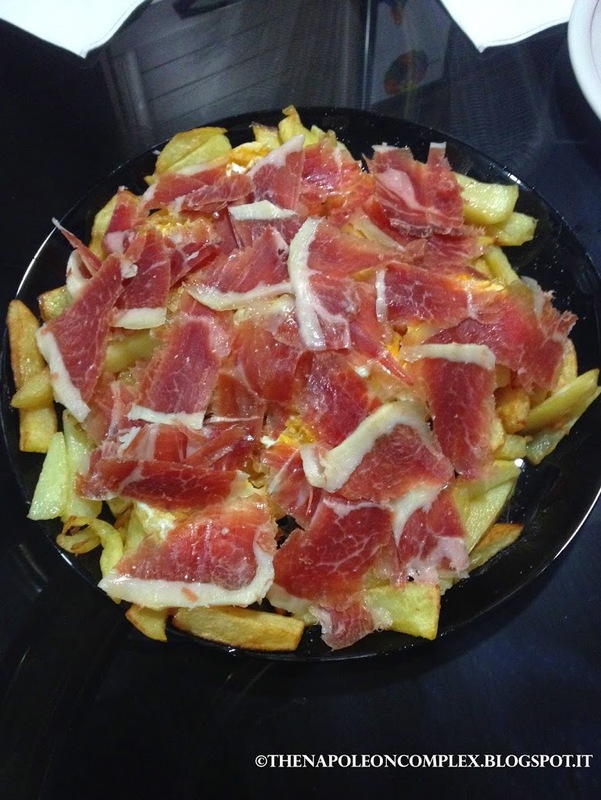 However, we did know what to order: Mollete con jamon. When my uncle told me about this, I was a little embarrassed to order it, mostly because it’s not usually written on the menu and it’s a funny-sounding name. Luckily for me I have my fearless hubby who does whatever it takes for good food. Mollete is basically a type of bread that the Spanish have warm, with a little olive oil drizzled over it. You can also add tomatoes, or ham, in our case. 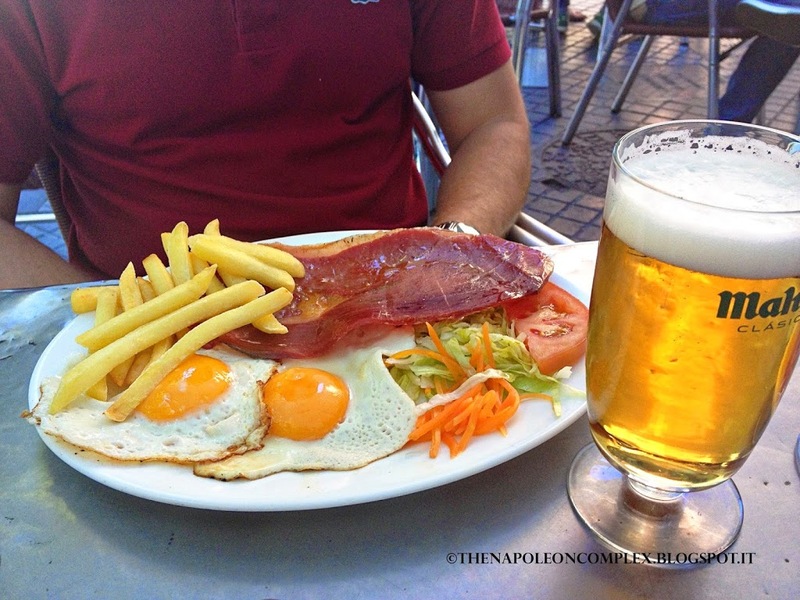 Call it, the Spanish breakfast of Champions! Bodega Santa Cruz Las Columnas – After having a totally forgettable lunch, my uncle texted us with the name of this place and, even though we were full, we decided to go and at least have a bocadillo. I’m so glad we did! It is very authentic Andalusian, the menu written on the wall and if you sit at the bar, the bartenders will keep track of your order on the counter with chalk. 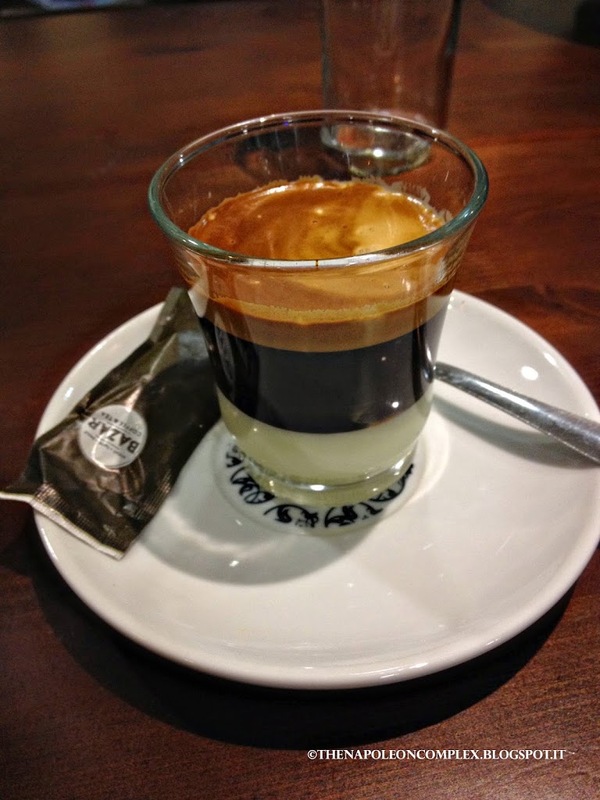 Cafe Bombon, Espresso with Condensed Milk at the bottom; the perfect after-dinner drink! El Tabernaculo – Another place that we went to more than once while we were in Granada, this restaurant (more like a bar) is extremely casual. There were only two tables outside when we went (in May), and maybe a couple more inside. Everybody else piles up at the bar or stands outside on the street. And make no mistake, if you come at prime lunchtime or prime dinnertime (very late for the Spaniards), it will be packed. The selection isn’t extensive, but what they do have is very good. 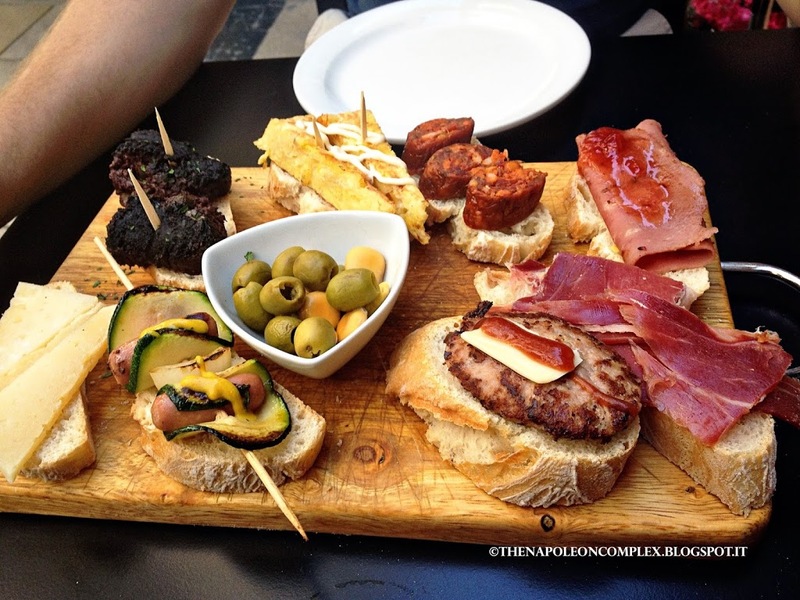 Remember, in Granada, it is very respected tradition to be served free tapas with every drink round, and they get better the more rounds you order. We would have two or three rounds of drinks, and then maybe order an extra plate of something specific that we wanted and were more than satisfied. Don’t be turned off by the floor-to-ceiling coverings of saints. It adds to the charm! Los Diamantes – We didn’t actually go to this restaurant, but it comes well recommended so I thought I would include it for variety’s sake. It is actually right across from El Tabernaculo, we just didn’t go because it was always very full and we were too hungry to wait. Los Diamantes have more than one branch in the city, but I think the best one is on Calle Naves (actually, that’s probably the best street to dine in Granada). And that’s it! This concludes my series of posts on all things Spain and next week I promise we’ll go back to Italy!